The second round of the Podium4Sport NIMRA Championship took place on Saturday. The race in question was the classic Donard Commedagh route; Starting in Donard Park runners had a free choice to checkpoint 1 at Thomas’s Quarry before snaking up through the rocks on the north easterly side of Donard to checkpoint 2 at the carin; A fast, technical, descent to the Saddle was followed by the climb up to Commedagh Tower and checkpoint 3; it was downhill to checkpoint 4 on the border of Donard Wood via Shanslieve; followed by a fast scramble through the wood to the finish in Donard Park. The conditions on the day were great: lovely dry ground, mild temperatures and light winds. The stage was set for another County Down epic! In the men’s race a tight pack containing Seamus Lynch, Zak Hanna, Mark Stephens, and Keiron Kelly went through the first checkpoint together. As they started to climb the slopes of Thomas’s Mountain Zak demonstrated his penchant for climbing by opening a gap on the other three men. Hanna summited Donard 2 minutes 20 seconds ahead of the group of three which was led by Lynch. 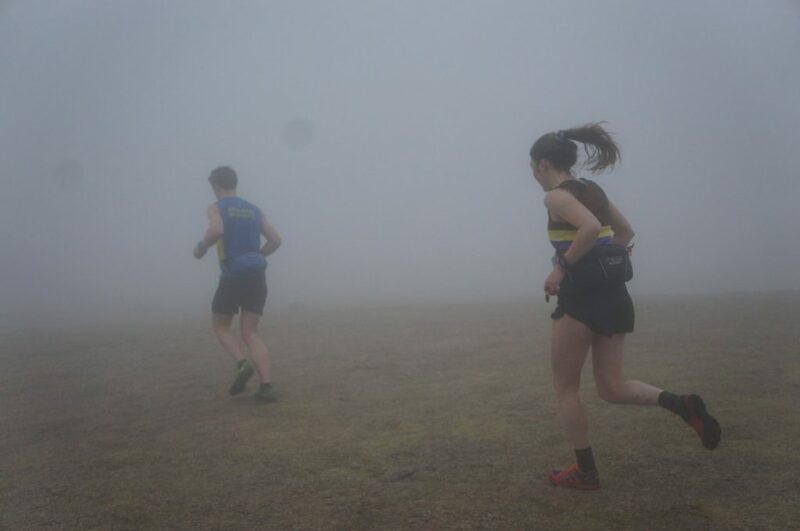 Zak held his 2 minute advantage going over a cloud bathed Commedagh. Who knows what happened up there but when the race dropped out of the clouds Seamus was leading with Mark in second and Zak third. Meanwhile Kieron was reportedly trying his hand at down climbing on the pot, but realising the error of his ways returned to terra firma and navigated his way down; now sadly out of contention. There was no change in the positions and the podium was Seamus, Mark and Zak in first, second and third, respectively. The ladies race was led by a trio of Megan Wilson, Esther Dickson and Sarah Graham. 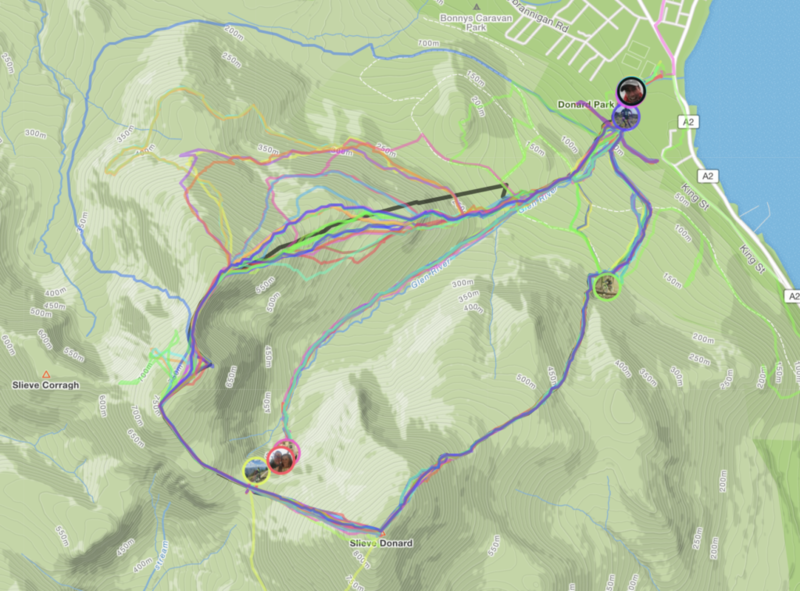 As the climb up Donard took hold Megan moved ahead, followed by Esther then Sarah. Megan managed to keep this advantage all the way to the top of Commedagh where she had 30 seconds on Esther who had 1 minute 40 seconds on Sarah. 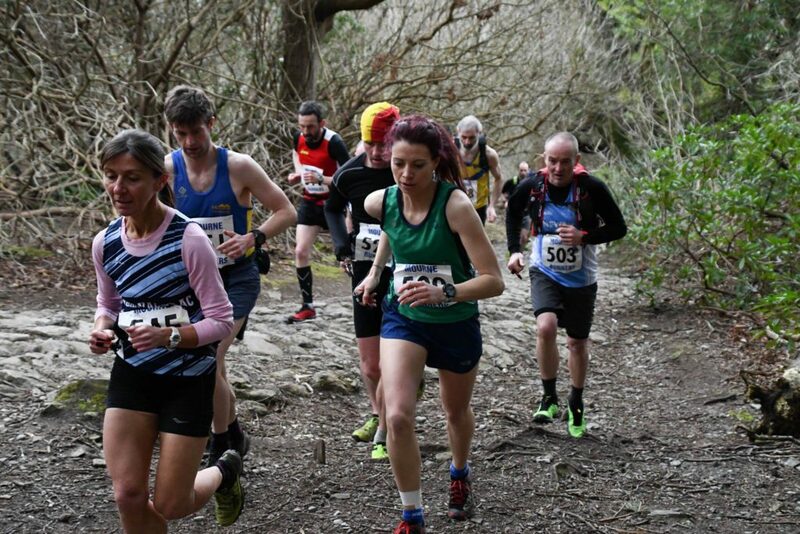 A superior piece of navigation from Esther saw her gallop off down the slopes of Shanslieve to her second win in the championship whilst Sarah and Megan were left wondering why Tollymore looked so close. In the end Megan never managed to find that last checkpoint and Sarah banded together with some other waylaid racers to navigate their way home. This left the podium wide open for Shileen O’Kane in second closely followed by Ciara Largey. 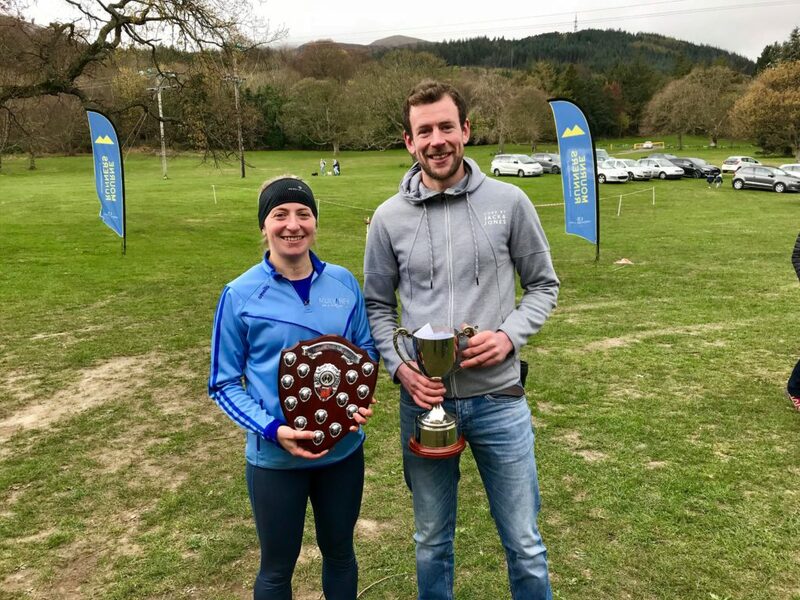 The Hanna Bros sponsored prizes for the fastest time between the towers on Donard and Commedagh went to Seamus and Esther. As always the Mourne Runners put on a great post race spread of buns and craic. Thanks to everyone who helped out at the event and to all our friends for participating. 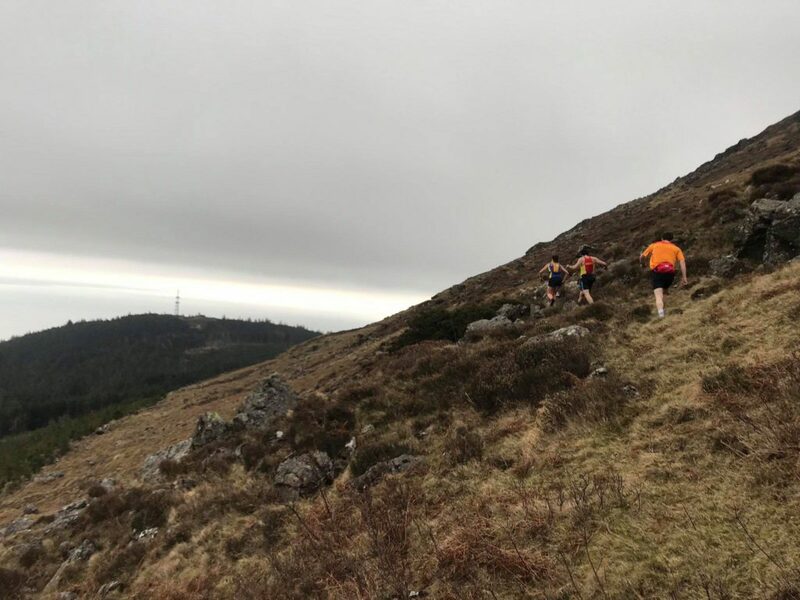 The next race in the Championship is the uphill only race on Binnian on May 2nd.